Electronics Costs > How Much Does a Traffic Light Cost? How Much Does a Traffic Light Cost? Traffic lights are electrically-operated traffic control instruments that control traffic by signaling when to proceed and when to stop. These devices are regarded as a viable means of controlling traffic, providing the maximum level of control, especially at intersections. Purchasing a traffic light for personal use can range anywhere from as little as $90 to as much as $300+, and the costs will depend on the type and where it’s purchased from. Most of the time, these are novelty traffic lights and won’t resemble the ones you see on the road. Even if you’re able to purchase one that you see on the roads, it won’t be able to function on a timer; instead, a mini-circuit will be wired inside to make the light sequence rotate as it would on the road. On eBay, for example, a real working used traffic light had a buy it now options ranging from as little as $90 to more than $300. If you’re talking about the costs the government has to pay, the costs can range anywhere from as little as $80,000 to more than $500,000 to purchase and install the traffic lights. When you add in the routine maintenance and electric bills, this can be an additional $5,000 to $10,000 a year. According to the Arizona Department of Transportation, a modern traffic signal can cost $80,000 to $100,000 to install, depending on the complexity of the location and the characteristics of the traffic in the area. According to the city of Woodbury, Minnesota, a complete traffic signal for a standard four-way intersection will cost around $250,000 to $300,000. Other expenses like project inspection and design can bring up the cost to almost $300,000. As for just the traffic light, without installation factored in, the traffic signal controller alone can cost close to $9,250. The 16 signal heads can cost a total of $13,350. 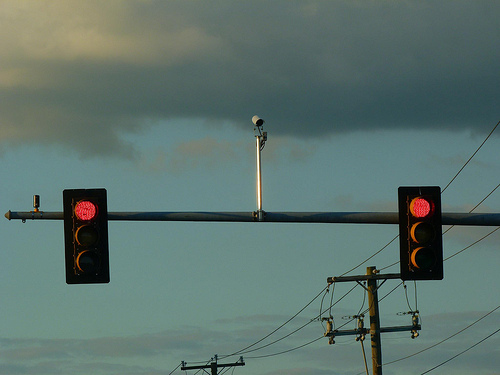 Electic bills can average $1,500 a year per traffic light. In addition to the electric bill, routine maintenance can cost around $8,000 a year. Every 10 years, according to the U.S. Department of Transportation, the traffic light signal controller will need to be upgraded, at a cost of $10,000. Routine timing updates, however, can be less than $3,000 per intersection. It was not worth it and I could not find any use for it. The worst part I can’t refund it.